Every wildlife removal job begins with a thorough inspection of your property and home. For AJB Pest & Termite, this initial visit is extremely important. We inspect to determine what kinds of animals are causing your problem and what steps need to be taken to correct it. The inspection will reveal exactly how rats, squirrels or other nuisance animals are gaining access to your property. Every situation and building we inspect for wildlife removal and control is unique. We perform a comprehensive inspection by inspecting both the exterior and interior of the structure. Our technicians will carefully examine the roof, attic, crawlspace or foundation and look at the landscaping to determine if there are environmental factors that are making your home inviting to your unwanted guests. After the initial inspection, we will suggest any necessary modifications and provide a written estimate for animal exclusions, trapping and damage repair needed to prevent further animal entry into your home or business. While all the steps of the removal process are important, exclusion may be the most important for long term relief. When we are inspecting your home or business we take into account not only the animal’s current entry point(s) but also, where these animals choose to enter next. Traps must be properly baited and carefully placed in order to produce desired results. AJB Pest & Termite is careful to make sure we use the proper traps, proper baits and placed in the best location to capture the animal. This is one of the reasons a thorough inspection is so important. Most of the inspection we perform we rarely see the actual animal in the home. They either hide or run away. Not all customers know what animal they have in their home and quite often the ones that think they know are wrong. Although our customers are great at showing us where the offending critters are spending the majority of time, usually right over their beds! We determine the species of animal by looking at droppings, chew marks, nesting sites and damage to the home or building. We place traps, depending on the architecture of your property, in areas where animal activity has been observed. This usually involves placing traps along active “highways” and in nesting areas found during the inspection. Knowing the exact species of animal helps us to determine the correct trap and bait to use for successful removal. After the traps are set, they are continuously monitored. 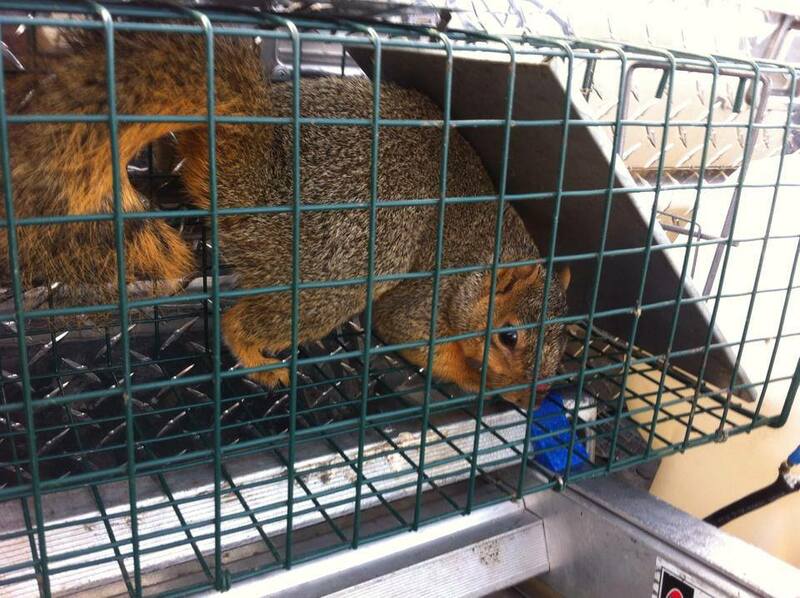 We monitor the traps to ensure quick removal of any and all animals captured. Monitoring also allows us to change the location of traps that are not effective and to monitor the effectiveness of the trapping program. Trapping the animals can be a lengthy process that needs to be seen through to completion. Finishing the project may take some time but be assured we will be here throughout the entire process. After the trapping phase is finished, AJB Pest & Termite specialists begin damage repair and exclusion procedures to shut the door on new unwanted guests.